Mr Lighthizer, who currently works as a trade lawyer in Washington DC, has been advising Mr Trump on trade issues. President-elect Donald Trump on Tuesday tapped Robert Lighthizer, a former Reagan administration official and longtime international trade attorney, to be his U.S. trade representative. The Cabinet-level post will be especially important under Trump, who pledged during his campaign to strike trade deals that are more advantageous for the U.S. and scrap ones he deems unfair. “Ambassador Lighthizer is going to do an outstanding job representing the United States as we fight for good trade deals that put the American worker first,” Trump said in a statement. The significance of trade to Trump was made clear shortly after the announcement when he complained via Twitter that General Motors Corp. was selling Chevrolet Cruze vehicles made in Mexico tax-free in the U.S.
Trump warned that a "big border tax" could be coming. GM responded that nearly all the Chevy Cruze vehicles sold in the U.S. are made here. Lighthizer called Trump's intention to nominate him “a very high honor." “I am fully committed to President-elect Trump’s mission to level the playing field for American workers and forge better trade policies which will benefit all Americans," Lighthizer said. Lighthizer was deputy trade representative during the Reagan administration with responsibility for industry, agriculture, investment and trade policy matters. He negotiated two dozen bilateral trade deals, according to his biography for the Skadden, Arps Slate, Meagher and Flom law firm, where he has headed the international trade practice for about 30 years. Before joining the Reagan administration, Lighthizer had been chief of staff for the Senate Finance Committee. In that job, he helped pass legislation that implemented a major round of trade negotiations. The Trump statement said Lighthizer "has represented American manufacturers in many of the largest and most significant trade cases of the last 25 years." "He has worked on scores of successful cases that resulted in reducing unfair imports and helping thousands of American workers and numerous businesses," the statement said. Senate Finance Committee Chairman Orrin G. Hatch (R-Utah) said he looked forward to “a vigorous discussion of Bob’s trade philosophy and priorities” during his confirmation hearing. “Ensuring our past, present and future trade agreements are the best possible deals for American workers and job creators is a shared goal supported by pro-trade lawmakers and the Trump administration alike,” Hatch said. Lori Wallach, director of Public Citizen’s Global Trade Watch, said Lighthizer’s skepticism about trade puts him at odds with several other Trump Cabinet nominees who supported the pending Trans-Pacific Partnership free trade deal. Trump opposed the deal and it’s likely to be scrapped once he takes office. “Lighthizer is very knowledgeable about both technical trade policy and the ways of Washington, but what sets him aside among high-level Republican trade experts is that for decades his views have been shaped by the pragmatic outcomes of trade agreements and policies rather than fealty to any particular ideology or theory,” said Wallach, whose organization also opposes TPP. 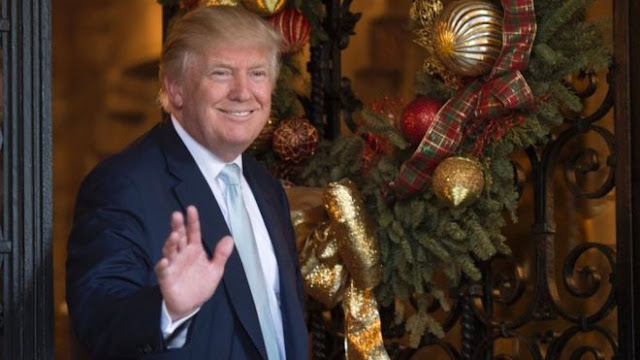 President-elect Trump has chosen Robert Lighthizer as U.S. trade representative, the presidential transition team announced Tuesday morning. The nominee “served under President Ronald Reagan as Deputy United States Trade Representative, playing a major role in developing trade policy for the Reagan Administration and negotiating roughly two dozen bilateral international agreements on a variety of topics from steel to grain. These agreements were uniformly tough and frequently resulted in significant reductions in the shipment of unfairly traded imports into the United States,” the team said. If confirmed, Lighthizer “would work in close coordination with Secretary of Commerce-designate Wilbur Ross and Peter Navarro, head of the newly created White House National Trade Council, to develop and implement policies that shrink our trade deficit, expand economic growth, strengthen our manufacturing base and help stop the exodus of jobs from our shores,” the team adds. Trade has been a central part of Mr. Trump’s agenda since the earliest days of his campaign, points out CBS News correspondent Major Garrett. The president-elect has been highly critical of numerous free trade agreements, including the landmark NAFTA treaty signed by President Clinton, and the Trans-Pacific Partnership, a multinational trade deal urged on by President Obama. He has also called for more restrictions on trade with Mexico and China. Like Mr. Trump, Lighthizer has long called for tariffs on foreign imports. In 2011, he wrote an article for The Washington Times arguing that Mr. Trump’s protectionist views had longstanding precedent within the Republican Party. Lighthizer, long considered the favorite for the post, was previously a deputy U.S. trade representative under President Reagan, and has since worked as a trade attorney in Washington, D.C.
Robert Lighthizer will become America's chief trade negotiator, tasked with reducing the US trade deficits which Mr Trump criticised during his campaign. Mr Lighthizer, who served under President Ronald Reagan, will "fight for good trade deals that put the American worker first", Mr Trump said. He is considered to have deep roots with the Republican establishment. He is known as an advocate for greater trade protection, and an expert in trade law who worked under Mr Reagan in the 1980s as deputy US trade representative to block cheap Japanese imports of steel and vehicles. "He will do an amazing job helping turn around the failed trade policies which have robbed so many Americans of prosperity," Mr Trump said in a statement. "I am fully committed to President-elect Trump's mission to level the playing field for American workers and forge better trade policies which will benefit all Americans," Mr Lighthizer responded. He has been supportive of Mr Trump's defensive approach to trade with China since at least 2011 when he praised his possible presidential candidacy in an op-ed. Like Mr Trump, he has opposed the Trans-Pacific Partnership pact and has called for tariffs on Chinese imports to the US. Under Mr Trump, he will work closely on trade issues with Wilbur Ross, who has been picked for commerce secretary, and Peter Navarro, a vocal China hawk who has been tapped to lead the new White House National Trade Council. 0 Response to "Trump taps Robert Lighthizer to be U.S. trade representative"